The four children laugh as they roll the heavy snow into huge snowballs. Nine-year-old Adrian runs inside for a small pot from the kitchen to use as a hat – and their snowman is complete. The sky is a vibrant blue above the tired colours of the broken-down house they live in. As the siblings stop to smile proudly for the camera next to their creation, the scene is almost Christmas card perfect. Adrian, Nicolae, Dorina, and Ion are four siblings sponsored through Mission Without Borders (MWB) who – until recently – knew little of Christmas. The lights and decorations, the presents, the feast and most importantly, the birth of Jesus, were all unknown to them. 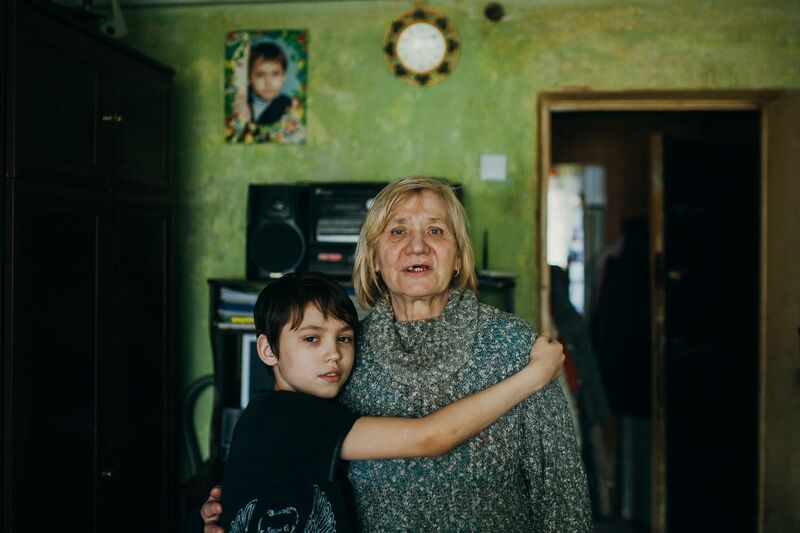 They live in Moldova with parents who struggle with alcoholism and the children are often seen dirty, hungry and at home alone. 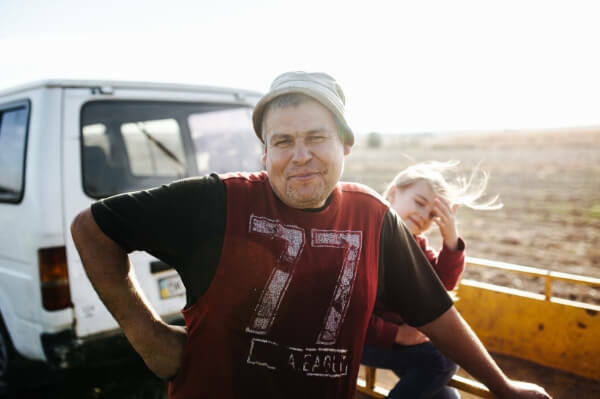 Poverty and unemployment are huge problems for this family – but the dependence on alcohol is a greater one. 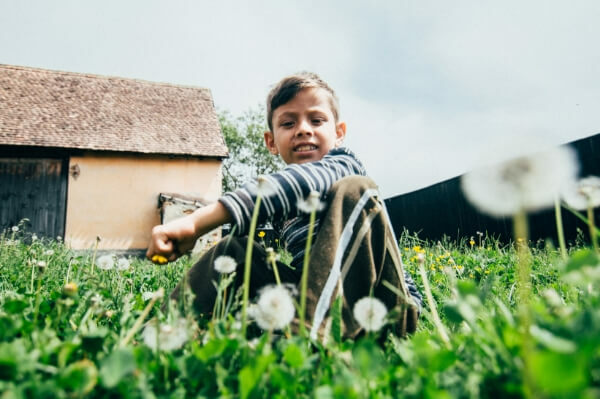 Nicholae, 14, loves maths and reading; Adrian dreams of becoming a singer one day; seven-year-old Dorina loves kindergarten where she has plenty to eat and lots of toys to play with. She wants to be a doctor when she grows up and heal every sick person. The Christmas season has at last become a special time for the children since they started receiving support through MWB. Last year, a fun Christmas show helped them understand what Christmas is all about – and they even received Christmas presents. When a MWB staff member arrives at their house with an Operation Christmas Love (OCL) parcel, the four of them are filled with excitement. MWB’s OCL boxes contain basic food supplies, treats and gifts to help lift the pressure off families struggling with poverty at this important time of year. Look at this! We can eat porridge tomorrow morning - I like it so much. Four heads clothed in woolly hats eagerly lean over the box as they pull the items out, seeing what is inside. “Wow!” says her brother, and opens it immediately, sharing it out between the four of them. “Look at this – we can eat porridge tomorrow morning – I like it so much!” says Nicholae as they all happily eat. 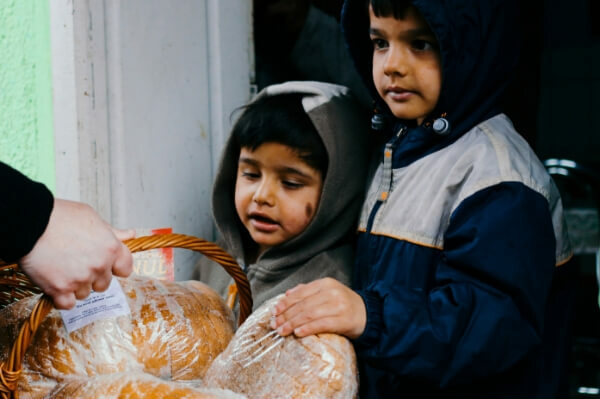 Children like Adrian, Nicolae, Dorina, and Ion would not experience the joy of Christmas at all without MWB – and through the help of our supporters, many more children and families in poverty can be blessed at Christmas time with food, gifts and the message of God’s love shown in Christ. And beyond Christmas, throughout the year, Adrian and his siblings will receive the support they need to know God’s loving provision and his plans for a hope and a future for each one of them.